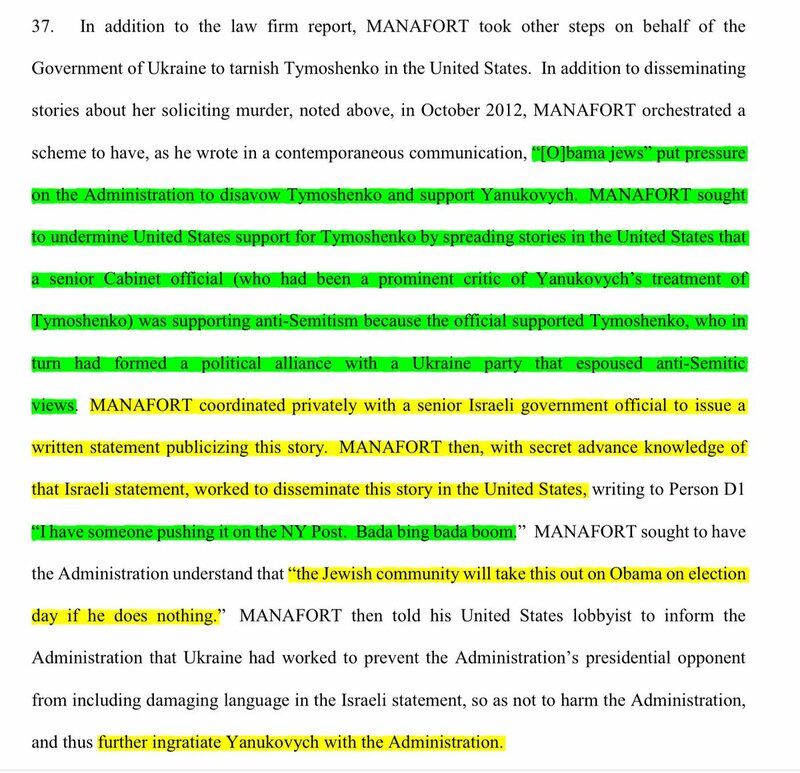 Thread by @drawandstrike: "Here's the summation from the Manafort defense team's filing where the gov't redacted a very damning section of it that points right to viol […]"
This redaction was done to HIDE the fact the SC case for Manafort lying is based on hearsay BS, and the first allegation is just the use of his name by some other guy *in case* that guy ever managed to meet Trump. 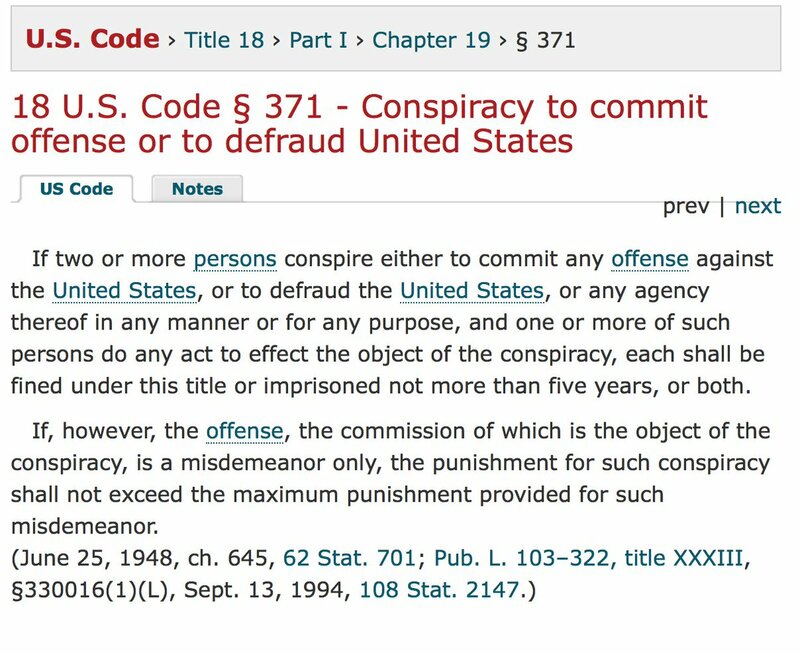 The second allegation leveled against Manfort by the Mueller Special Counsel is especially sordid. "Some guy we will not identify to your defense team told us you lied about ____ and no, we're not turning the actual statement over to your lawyers. Deal with it." How that's not a violation of discovery is beyond me. The SC is using a statement it claims came from an anonymous person and it won't turn over a copy of the actual statement making the allegation against Manafort to his defense team. If this is the strength of the case the Mueller SC team is using to prove Manafort 'lied' so they can void his plea deal, Manafort's got nothing to worry about. 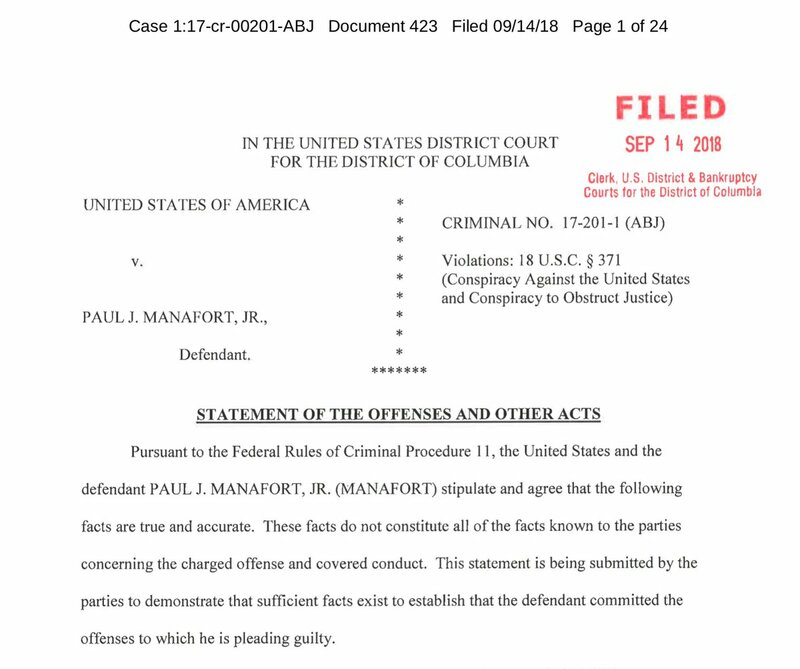 I'm now being told since this was Manafort's defense team's filing, they did the redactions. Which....makes no sense to me. Why would they redact this section showing the gov't is basing it's case not only on hearsay, it's hearsay they won't identify the accuser to the defense. 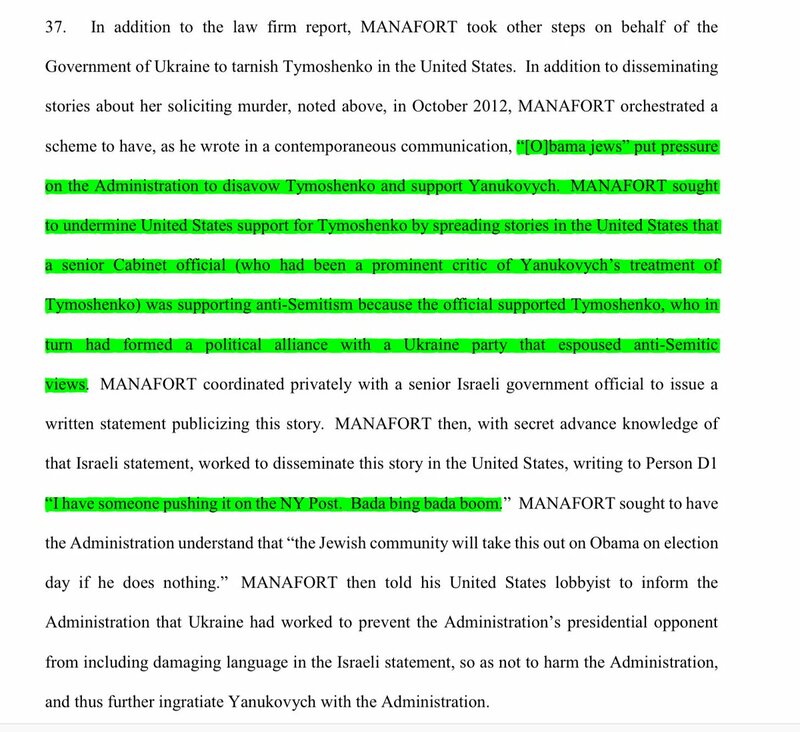 If so, could Manafort's team have been forced to make these redactions, but found a clever way to fix it so the information got made public anyway? Because after reading these redactions, I don't see MANAFORT'S legal team screaming and demanding that heads roll. That's what I see the MUELLER SPECIAL COUNSEL TEAM doing. "OMG NOBODY WAS SUPPOSED TO *KNOW* WE WERE USING ANONYMOUS HEARSAY, DAMMIT!!!!" Here’s the deal. 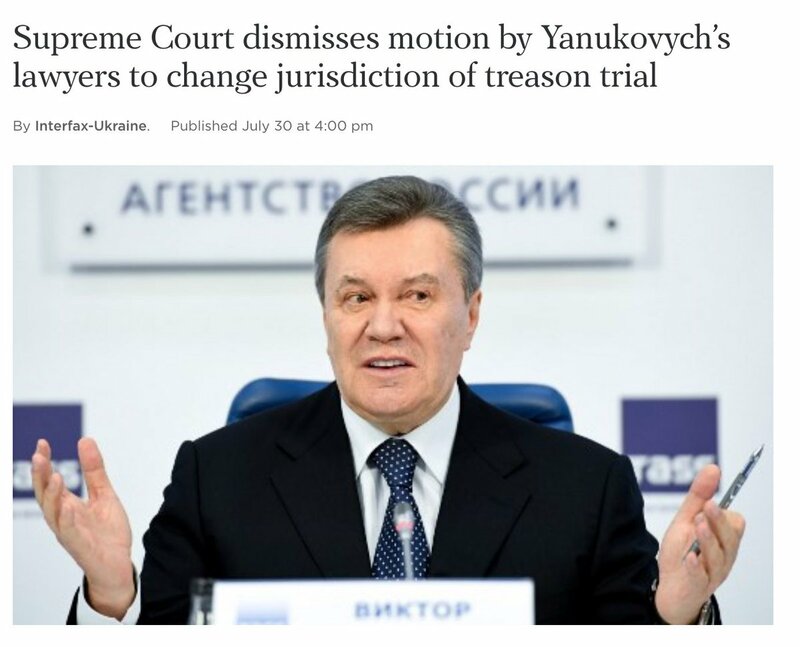 #Manafort will be pardoned… eventually. 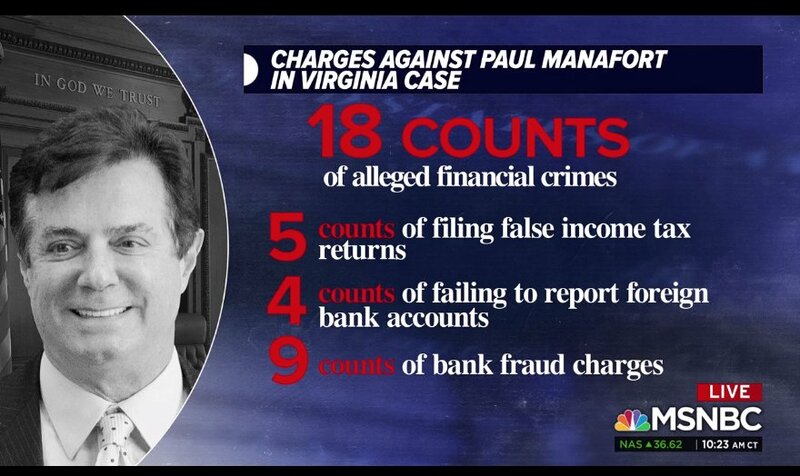 Given yes, @PaulManafort is a sleaze bag and committed some offenses. Had he been charged when this first came about he might have be wrapping up his lengthy prison sentence right about now. But that didn’t happen, did it? to put on pressure to “flip on Trump” and confess all the Russian sins of the campaign. /2 Remember it's the prosecution's burden to prove things beyond a reasonable doubt. When the defense puts on a case, there's always a subtle tendency for the jury to start putting a burden on the defense, which you don't want. /3 If your defense case is marginal anyway, resting is a way to convey to the jury a level of confidence that the government has nothing. It's a way to emphasize that it's the government's burden. Was scheduled to begin this Wednesday, the 25th. Now it will begin on Tuesday the 31st. No reason cited for the delay. See below and also my mentions in response to the linked tweet for possible explanations for the delay. James Brennan, Donna Duggan, Conor O”Brien, Cindy Laporta, and Dennis Raico are the FIVE WITNESSES for whom Mueller sought immunity. The judge has granted immunity. 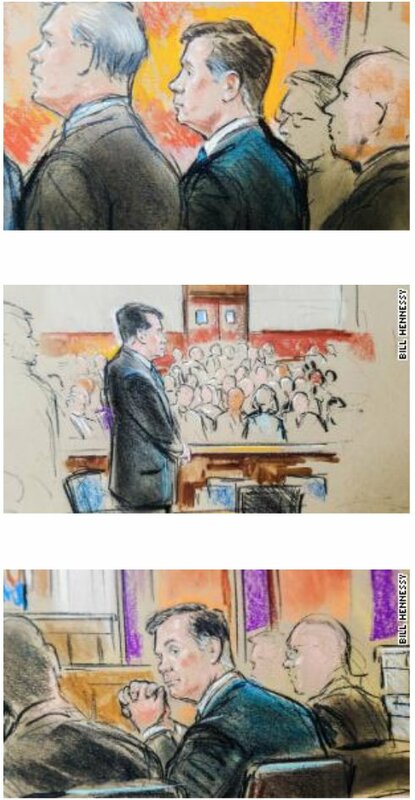 Has the judge has also compelled them to testify, since they were refusing?